I received a press release earlier today that had me wishing that November were here already. I grew up loving the James Bond films, and then Ian Fleming's books. I am also a big fan of Charlie Higson's Young Bond books and then back in October 2013 I was really excited to hear that the Young Bond franchise was going to be continued, with Steve Cole at the helm this time. 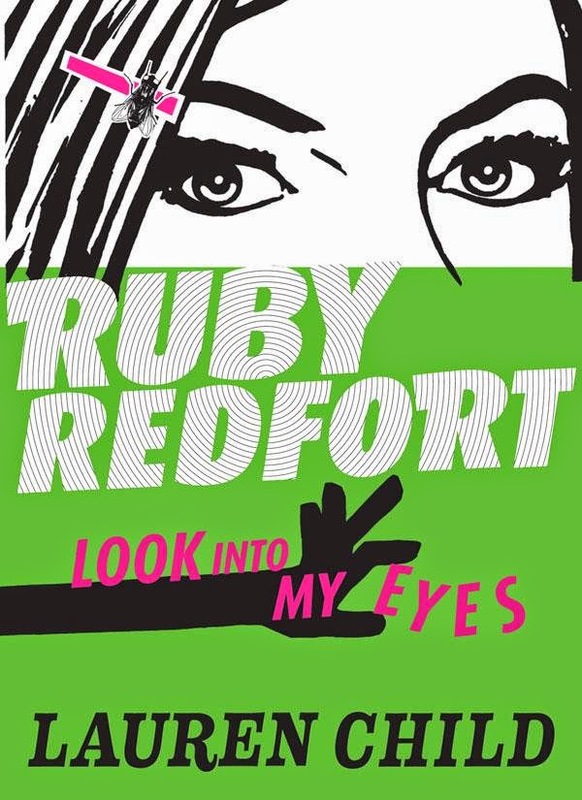 Today, at the Hay Festival of Literature and Arts 2014, the title of the new book and its cover were finally announced. 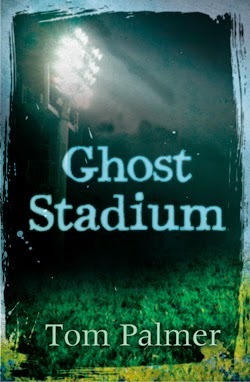 For the full press release please see below the image of what I think is a cracking cover. 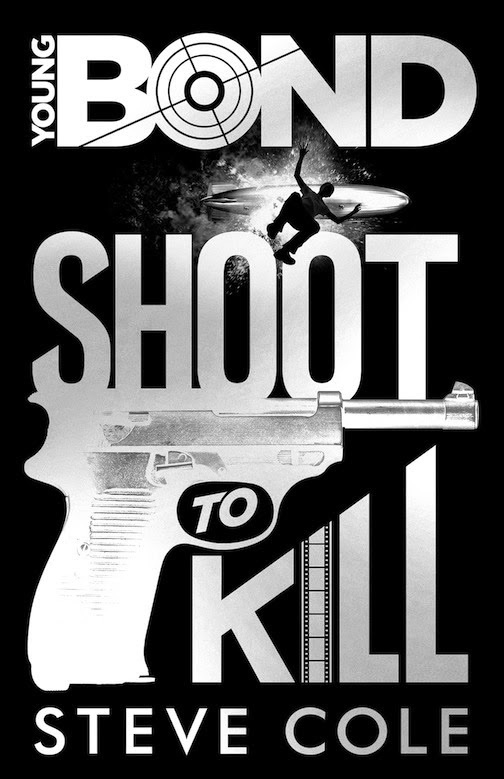 If I can find the time from somewhere I am determined to re-read Higson's books before Shoot to Kill is published in November. 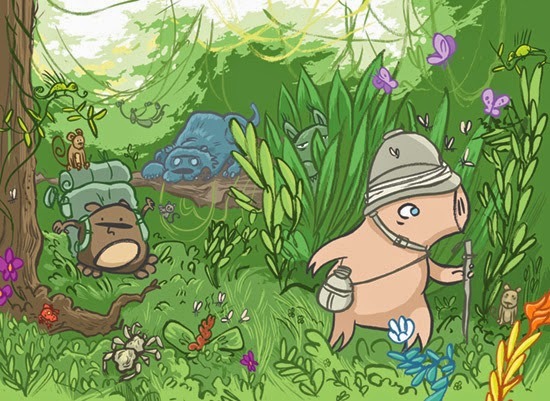 Pigsticks is the last in a noble line of explorers, and he’s decided it’s time for him to follow in his forepigs’ footsteps — with an assistant to do the heavy lifting, of course. When his help-wanted ad draws a motley crew of candidates, he chooses a hapless delivery hamster named Harold. As the unlikely duo set off from Tuptown with plenty of tea cakes in tow, Pigsticks is breathless with excitement (and Harold is struggling for breath under all the gear). But after a long trek through jungles, over deserts, and up a giant ice-topped mountain, the last crumb of cake is stolen by a herd of thieving goats, and their goal is nowhere in sight. Will they ever discover the Ends of the Earth? Could it be in the last place they’d ever think to look? These days I very rarely review picture books. As a secondary school teacher my experience of them is very limited, and so I prefer to focus my efforts on books for older readers. However, I have long been a fan of Alex Milway's brilliant Mythical 9th Division books and so I just couldn't resist his latest offering. This first book in what I hope will be a series sees Pigsticks (a pig) longing to follow in the footsteps of his ancestors by doing something great. He decides that he will travel to the Ends of of Earth, but being a rather upper class pig he decides that things like cooking and bag carrying are below him, and therefore he advertises for an assistant. Harold (a hamster) somehow manages to stumble into the role without ever applying, and soon the pair are off on their adventure through jungle, desert and mountains on their quest for the Ends of the Earth. 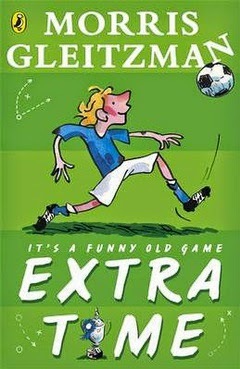 Yet again, Alex Milway has produced a story that is exciting, charming and, very importantly, very funny. Children will have no problem in spotting Pigsticks' flaws, and some may question the way he treats poor Harold, who is possibly the most tolerant and forbearing hamster in the world... ever! It is a relationship that brought to my mind that of Sherlock Holmes and Watson as his long-suffering companion. 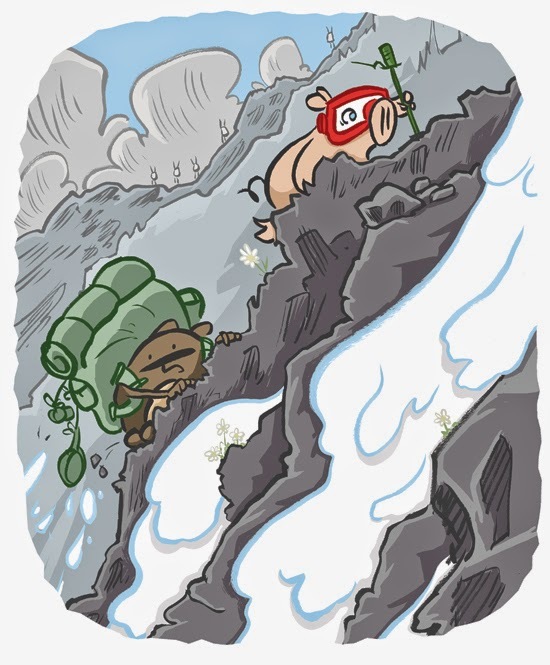 Pigsticks is the confident one with a 'who dares wins' outlook on their adventure, whilst Harold is the quiet, worrying type. Alex Milway's artwork is the perfect accompaniment to his story. The characters are all portrayed with fairly broad line work, making them stand out clearly from their backgrounds, and it is amazing just how much expression Milway manages to give the faces of his two main characters with this fairly simple style. The layout of the illustrations will also keep young readers on their toes: some pages have a traditional picture book layout with full spread images and little text, other pages are more like early readers, with far more text and smaller images, and some pages have layouts more commonly in the graphic novel format. This all adds to the overall reading experience, and I'm sure young readers will go back to this book again and again, even if just to pore over the illustrations. Pigsticks and Harold is not quite a picture book, nor is it strictly an early reader. It sort of falls between the two, and thus it is great as a book to be read by a parent to a young child and also great for an older child who is more confident with their reading but still craves lots of colour illustrations of their pages. There is enough in the book to challenge these more confident readers, as there are a handful of more difficult words (e.g. evasive manoeuvres), and these may also lead to questioning and dialogue between the reader and their parent. 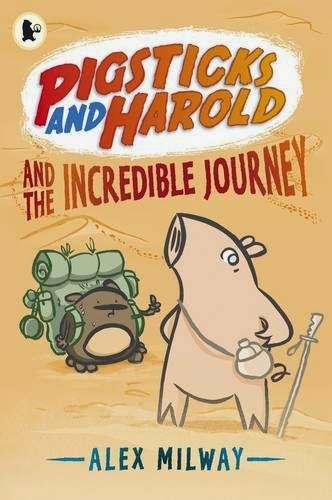 Pigsticks and Harold and the Incredible Journey is already available to buy, and my thanks go to the lovely people at Walker Books for sending me a copy. Kieran is different from most of the other children at his school. He struggles to fit in and the other children call him names because of his learning difficulties. However, his brain is capable of storing all kinds of facts (especially when they are related to CSI, his favourite TV programme) and he is an incredibly gifted artist. Kieran's father dies many years earlier, and his mother has now moved them both in with Tony, a violent and bigoted thug, and his son Ryan, who seems destined to take after his dad. Both of them treat Kieran as if he were little more than a piece of dirt and Kieran's only escape is the diary and his his artwork, that he keeps carefully hidden away in his bedroom. One day, whilst walking along the riverside, Kieran comes across Jean, a homeless woman who he has occasionally spoken with. Jean is in floods of tears, and Kieran quickly discovers that the source of her grief is a body that is floating in the river. The corpse was Colin, one of Jean's few friends, and so Kieran decides he is going to solve the mystery of who murdered Colin, especially as the police do not appear at all interested in investigating. Colin's investigations will lead to the uncovering of all kinds of secrets, some of which could impact very close to home. When a copy of Smart arrived out of the blue from the fab people at Macmillan and I read their publicity blurb my heart sank a little. Although it is never mentioned explicitly, it is obvious that the main character is autistic, and I couldn't help but wonder whether the world really needed another book with a story that features a young autistic boy trying to solve a crime? The answer to this question is simple: if such books are as well written and wonderful to read as Smart then yes, there is room in the world for many more of these. Anyone who has read Mark Haddon's brilliant The Curious Incident of the Dog in the Night-time will find it impossible not to compare the two books, because if their similarities, and this is something that must have played a little on the mind of author Kim Slater as she was writing the book, and publisher Macmillan when they decided to publish it. However, I personally think Smart manages to hold its own quite comfortably, and I think I actually enjoyed reading Smart more. 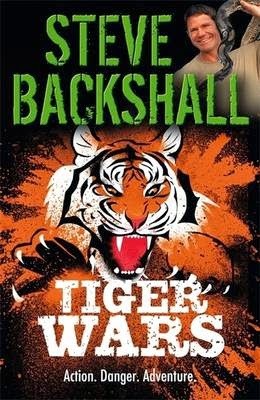 This might be due to it being written for a younger audience - Macmillan suggest that it is aimed at 12+ readers and I would agree with this, although I know that some will disagree with me. The reason for this is that Smart is quite dark in places, as a result of some of the themes it explores: domestic violence, drug dealing, discrimination, homelessness, and of course, Kieran's autism. However, in my opinion Kim Slater covers every one of these themes with sensitivity and uses them to craft a heartwarming tale that could have readers laughing and crying in equal measure. Children should not be shielded from these aspects of our society. Most secondary school children will have shared a classroom with at least one autistic child, and I think may adults would be surprised at the tolerance and understanding that the vast majority of these young people show to their classmates who have Special Educational Needs. Similarly, although it is very sad to say so, many children will come across instances of neglect, domestic violence, etc. and if their awareness of these issues is raised through wonderful stories like this then it is only for the better. 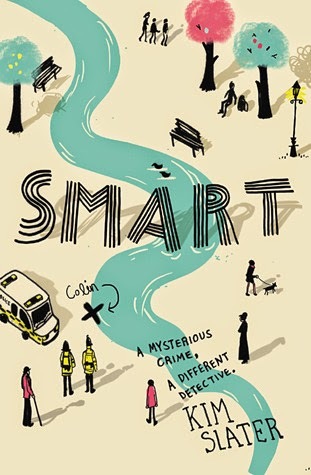 As such, Smart is one of those books that would make a great class reader for a Year 8 or Year 9 English group. One should never judge a book by its cover, which is obviously the book's most important message, but this is one of those times when the cover is just as wonderful as the story within and I can't finish this review without mentioning it. 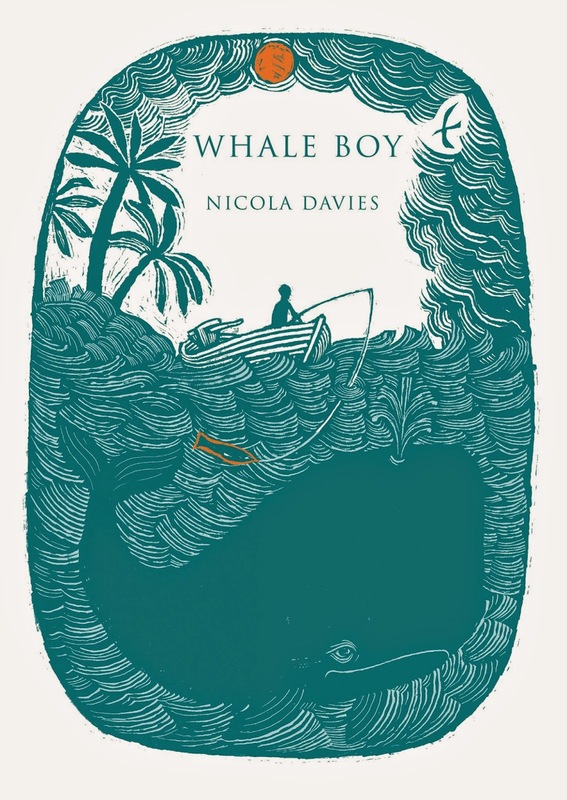 Illustrated by Helen Crawford-White, the wrap-around cover of this ahrdback edition rather cleverly reflects the work of Kieran's favourite artist, L.S. Lowry, and is definitely one of my favourite of the year so far. In the 1940s world of elegant, luxury automobiles, the Tin Snail is no beauty. But it's facing a tough challenge: to carry a farmer and his wife, a flagon of wine and a tray of eggs across a bumpy field in a sleepy French village - without spilling a drop or cracking a shell. 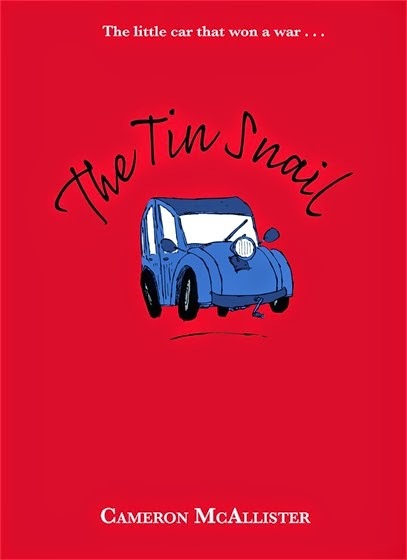 The Tin Snail tells the story of Angelo Fabrizzi, who at the start of the book is living in Paris with his Italian parents. Angelo's father is a car designer going through a drought period as far as inspiration is concerned, until one morning Angelo makes a comment that causes the metaphorical light bulb above his father's head to light up like a supernova. Unfortunately for the Fabrizzi family, the car's unveiling at the 1938 Paris Motor Show does not go as planned, and the fall out puts even more pressure on Angelo's parents' already strained marriage. His father decides he needs to get away, and he and Angelo head off to the countryside for some breathing space. Before long they are working on improving their design for a people's car, using the meagre resources available in the rural location. Initially, the local villagers view the Fabrizzis with mistrust, feelings that escalate as the war in Europe starts and then escalates as the Nazis invade France, given that Italy has allied itself with Germany. However, work progresses on the car, but rumours of Fabrizzi's have reached the German High Command, and they descend on the village in search of any prototype they can steal away to deliver to their own car designers. What was just a simple engineering project in a rural French barn becomes a local symbol of Gallic honour and the struggle against the German invaders. Earlier this year I attended another of Random House's brilliant blogger brunches. As far as my blogging and reading life is concerned these are always definitely up there as some of the highlights of my year, as RHCP always have a fab list of books to tell us about, and even more importantly the team who give up their Saturday morning to welcome us so warmly are among my very favourite book-world people. 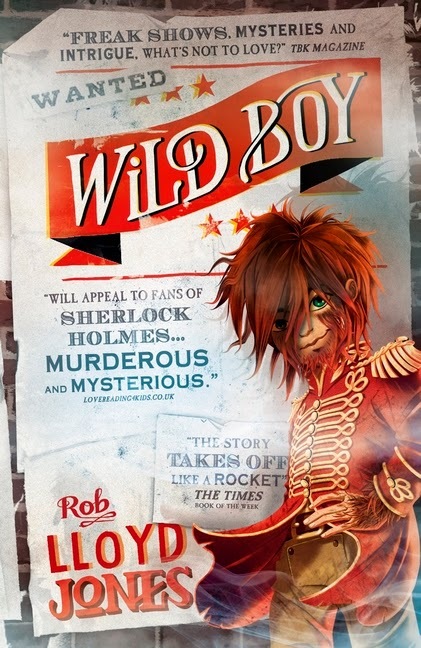 Like many of the publisher events I attend, the focus was more on YA than 'middle grade' books, but as a lover of MG there were two books in their presentation that totally grabbed my interest more than any others. The first was Django Wexler's brilliant The Forbidden Library, and the second was this little beauty. 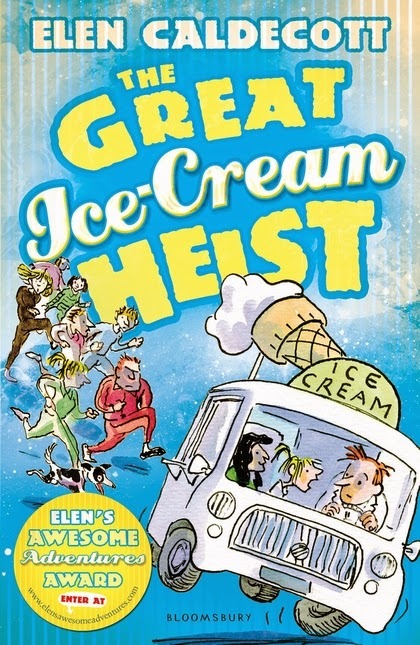 I'm always on the look-out for books like this: well plotted middle grade stories with great characters and plenty of typically British humour (yes, it is set in France, with Italian and French characters, but the writing is undeniably British). The publishers make mention of Chitty Chitty Bang Bang and Dad's Army in their blurb, which covers the car aspect, the WWII setting and, to a degree the comedy, but this book is much more than that (and I am a lover of both of those). The humour is never slapstick or farcical (so no allusions to 'Allo 'Allo here whatsoever): it is subtle, heartwarming and intelligent and readers will find themselves grinning from ear-to-ear without even realising it. The story itself is a fabulously well-plotted character driven piece, that uses action set-pieces and the tension of the villagers' anti-German 'resistance' to add to keep the pace moving and readers turning pages. 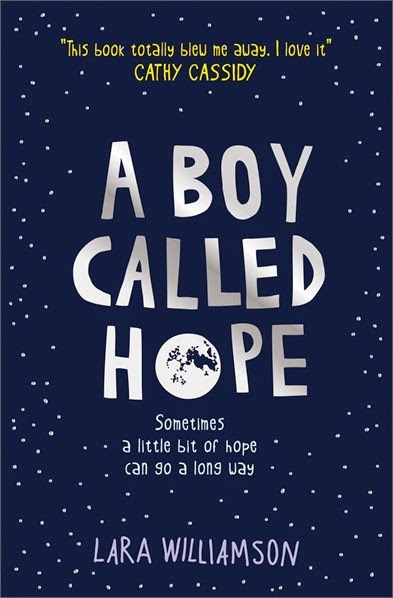 It is one of my favourite books of 2014 so far, and Cameron McAllister writes with a voice that is reminiscent of the likes of Frank Cottrell Boyce and David Walliams. In fact, much as I am a great lover of Walliams' stories and their TV adaptations, if I had to choose it would be The Tin Snail that I would much rather see adapted for TV at Christmas this year. Another great plus about this book is the 'is it fact, or is it fiction?' feeling that you get when reading it. At no point in the narrative does the author mention Citroen or the 2CV, but as readers we know there is only one car that is being designed by Angelo and his father. In his author's afterword McCallister gives us a very brief explanation about the event that inspired him to write about this special car, and as a reader who knows nothing about the history and development of the real Citroen 2CV, I loved the fact that at no point was I able to distinguish between what was a product of the author's imagination and what was something rooted in historical fact. Young car lovers will probably do exactly what I did on finishing this book - read up on the real history behind the development of such an iconic car. I can't finish this review without also mentioning the wonderful black and white illustrations of Sam Usher that accompany each chapter heading, and also the lovely overall effort that the publishers have put into packaging this book. The Tin Snail comes as a lovely hardback edition, sans dustwrapper, and makes for a very attractive and enticing present for a reader, young or old. Yes, this is one of those rare books that will delight readers from 8 up to 80 and beyond, and deserves to become a much read family favourite in the future. My thanks go to the ever-wonderful Lisa Mahoney at Random House for sending me a copy to read. A while back I was fortunate to me invited to a blogger event held by the lovely people at Faber. 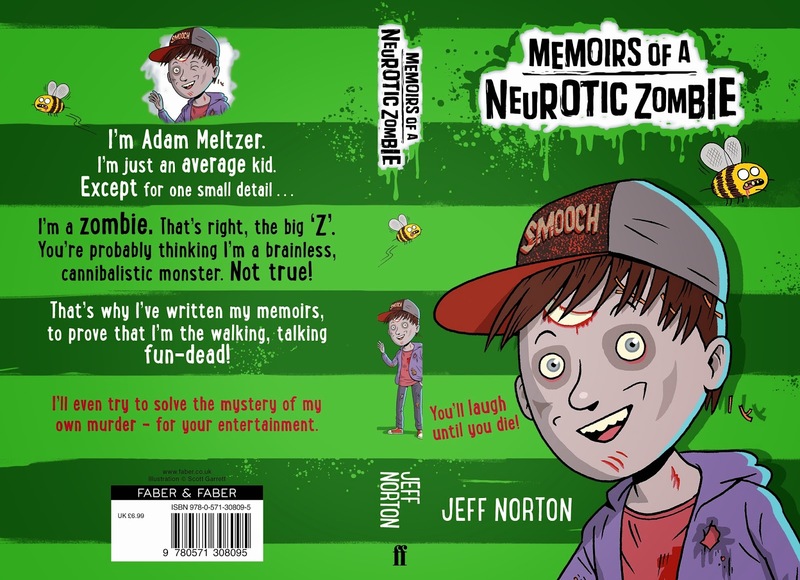 My personal highlight of that event was writer Jeff Norton (he of Metawars fame) giving us a special reading of his new book, Memoirs of a Neurotic Zombie. It was flippin' hilarious, and one of the funniest things I had heard for a long time, and so I am really chuffed to be part of the big cover reveal. 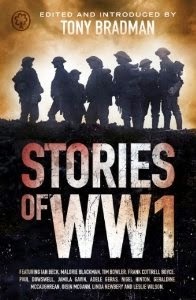 Today, there are 18 blogs showcasing a short extract of Memoirs, along with the fab cover for the book, which is due out this summer. I have to say I totally love the extract that I have been assigned - how could I not? It's about farts and I'm a boy! (yes, even at my age I still find farts amusing). Extract #17: Adam ruminates on cleanliness after being drenched in coke. Normally, I don’t need to be told to take a shower. If I could, I’d shower five times a day, just to scrub off the grime that hung in the air. For example, did you know that when someone farts, particles from their bum actually float around in the air? So when you smell a fart, those particles are actually nestled in your nose? The official population of Croxton (not counting undocumented aliens and tourists) is 21,371, and that’s a lot of bums doing a lot of farting, creating a lot of particles that cling to your hair and skin. If you ask me, five showers a day doesn’t seem like enough when surrounded by over twenty thousand fart-producing bums, but the one exception I made was for showering at school especially during lunchtime. ‘What kind of bees?’ I asked, wondering there was some link between my killer bee and banning of syrupy soda from school grounds. Each of the 18 blogs participating in this cover reveal has an extract. if you want to head to the first one (chronologically as far as the book is concerned) then head on over to Readaraptor. If you've read them all so far and you want to read extract #18 then head on over to Much Loved Books. Ray and Gloria's Uncle Ben has moved in with the family as things have become difficult for him recently. The kids adore their Uncle Ben and are initially very excited, but they quickly discover that all is not ok. Instead of sitting around chatting loudly into the night as they used to do, Ben and their parents do little but mumble quietly so the kids can't hear what they are talking about. One night the kids manage to overhear the conversation, and they hear their Gran mention a Black Dog, saying that it has got their Uncle Ben and has the whole of Dublin in its grip. The children take it on themselves to track down this Black Dog and vanquish it from their city, and along the way they are joined by a variety of talking animals and more and more of the city's children. Brilliant is Roddy Doyle at his best. It is a wonderful modern fantasy story that also manages to cover the difficult subject of adult depression with sensitivity, but without ever dumbing down for its young audience. Mental illnesses such as stress and depression seem to be far more prevalent in today's society, and it can be very different for children to understand why previously joyful loved ones now struggle to get out of bed in the morning, or sit staring into space for hours on end, or start crying with seemingly no reason. 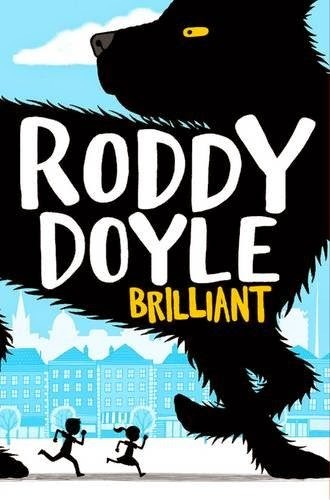 By using the 'Black Dog' as a physical manifestation of the depression that permeates through a city whose residents are going through significant financial difficulties, Roddy Doyle helps his young readers to understand the nature of depression. The story itself is almost fairy tale-like in nature, with kids battling against an evil monster, especially when you throw in the talking animals. It has humour, action, cracking dialogue (would we expect otherwise from Roddy Doyle), and also moments of extreme pathos. It is the kind of book that will make you grin from ear to ear, but it might also make you cry as well. However, the greatest message is that of the power of laughter, especially that of innocent children, and its this that had the story lingering in my mind long after I had finished reading it. Whilst reading Brilliant I had a feeling that I had read it somewhere before, or something like it. A quick internet search showed that is was originally published as a short story some time ago, and yet, unlike Gaiman's The Ocean at the End of the Lane, which also started off as a short story (and to me felt it was padded out to make a longer book), Brilliant always feels like it was written as a complete book from the start. 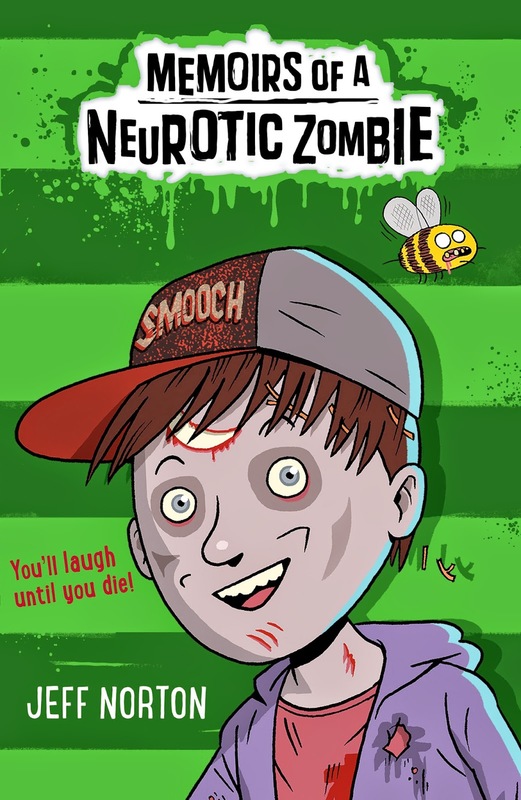 This is a cracking book for 8-10 year olds, and if studied at school in PSHE lessons it may even be suitable for Year 7s because of the discussions in would promote. It could also be used on a one-to-one basis with children whose parents are struggling with depression, although a little caution would be needed as this is a fantasy story and as such there is something of a 'happily ever after' ending to the story. My thanks go to the fab people at Macmillan for sending me this read via netgalley. Several times over the past five months I have mentioned that time was tighter than ever because I was involved in a secret project. 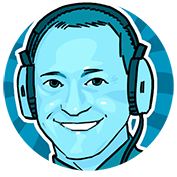 That project was Bookbuzz and as of last Wednesday I am finally allowed to talk about it. Towards the end of last year I received a lovely email from the fab people at Booktrust, asking me if I would be interested in being part of the panel who would select the books for this year's Bookbuzz scheme. Bookbuzz is a scheme run by Booktrust, whereby school's can pay £2.50 per Year 7 pupil, and in return every one of those pupils will be able to choose a brand new book. The list of books changes each year, with the books being chosen by a panel of 'experts', which always includes at least one teacher and one librarian. 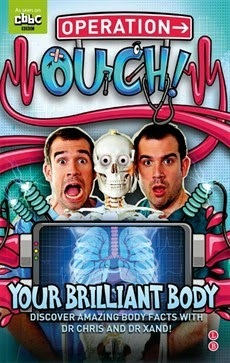 Please take time to head on over to their website at http://www.bookbuzz.org.uk/ to read about the scheme in more detail. I felt very flattered to have been approached by Booktrust, and needless to say I responded with a very enthusiastic "Yes please!" And so, shortly after Christmas, a box containing the first books from the long list of 84 titles arrived and I started reading (following a quick sigh of relief when I worked out that I had already read fifteen of the titles on the list). The plan was that by the time the panel had its first meeting in February every book on the list would have been read by at least two members of the panel. Mid-February came and the other four panel members and I braved the storms and floods to head into London for our first meeting. I guess this might always be a slightly nervous time for the Bookbuzz team, bringing together a group of people who might have very different tastes and opinions. Arguments? Rants? Fights? I suppose it really could have kicked off, but it didn't. We gelled as a team very quickly, and the object of the first meeting - to arrive at a list of 35-40 books that we would all then read before the final selection meeting in March - was achieved incredibly smoothly, and everyone left with big smiles on their faces. Cue more reading, and this time we only had a month to read any books on the list that we hadn't already read. I found myself reading during even the tiniest free moment to make sure I was able to give a full and honest opinion at the final meeting, and those four weeks simply flew by. Come mid-March we all met up again (this time in much nicer weather conditions), with four hours set aside for coming up with our final list of twelve books. And we managed to do this in just two hours, much to the surprise and delight of the team from Booktrust. It just happened that the books that were huge favourites of mine, just happened to be very popular with other members of the team, and vice versa. In fact, some books were so popular that they made it on to the final list with very little final discussion at all. In the end, the biggest challenge was to ensure that there was something for everyone on that final list - boys, girls, struggling readers - and we also had to make sure that there was a mixture of fiction genres, non-fiction, poetry and short stories. This meant that some very popular titles had to be relegated to the reserve list, but that is only as a result of the wonderfully sheer breadth and diversity of the titles that had been submitted by publishers. Of course, we were then sworn to absolute secrecy until the list was officially released, and that happened last Wednesday. It's great to be able to finally talk about it, and I look at that list of twelve books and genuinely feel that we have chosen a great list of books. Even better, along with some very famous names in children's literature, we have also managed to choose some brilliant debut titles, and hopefully this will bring these new writers the increased attention they deserve. It was an absolute privilege to work with Jake, Rosemary, Leanne and Katherine as part of the Bookbuzz panel. 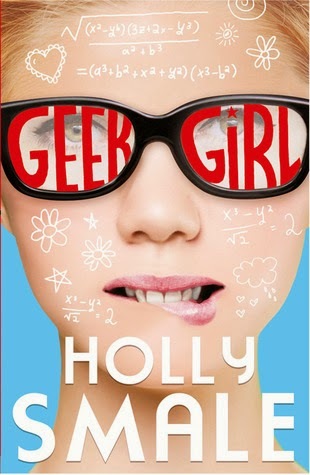 I read many books that I might otherwise never have picked up, some of which I absolutely loved (Geek Girl and Stories of WWI being perfect examples). Huge thanks must also go to Laura, Caroline and Alison from Booktrust for looking after us so well (and thanks also to the ever fabulous Rosi Crawley for suggesting me as a possible panel member in the first place). If, as a librarian, teacher or blogger, you are ever offered the opportunity to take part as a panel member then please make sure to accept the offer - you will not regret it. 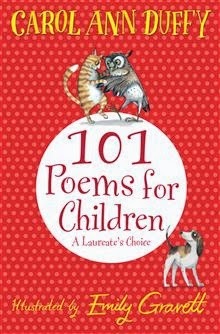 Despite there being a huge number of books to read, at no point did it feel like a chore, and you will be left with a warm glow inside, in the knowledge that you have been involved in a scheme that brings joy to a lot of children, a worrying number of whom currently have next to no books of their own.